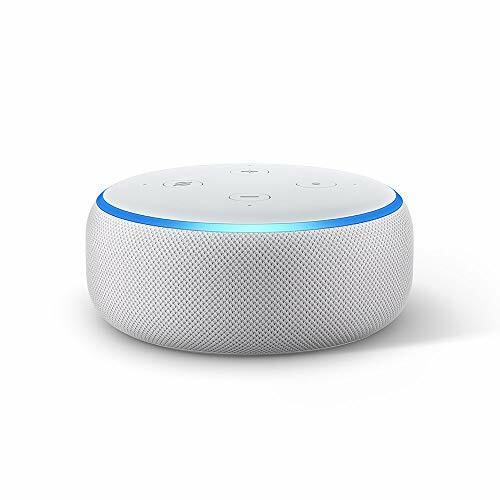 - Echo Dot is our most popular voice-controlled speaker, now with improved sound and a new design compared to the previous-generation Echo Dot. - Stream songs from Amazon Music, Spotify, TuneIn and others through the improved speaker for richer and louder sound. - Call or message anyone with an Echo device, the Alexa App or Skype hands-free. Instantly drop in on other rooms in your home or make an announcement to every room with a compatible Echo device. - Alexa is always getting smarter and adding new skills such as tracking fitness, playing games and more.